Serving Airbnb meals is one of the best ways to make your guests feel right at home. However, providing this additional service does have a couple of possible obstacles. For example, what would make a good Airbnb dinner? How do you make sure that your Airbnb cooking satisfies the local rules and your guests’ preferences? Luckily you do not have to go to any extreme measures such as hiring an Airbnb consulting business or professional caterers just to cook meals that will be ideal. With the help of the following food for thought, you will be much better equipped to offer meals (and possibly even sell it as an additional service). Which Airbnb meals will wow your guests? A firm classic remains a type of continental breakfast. 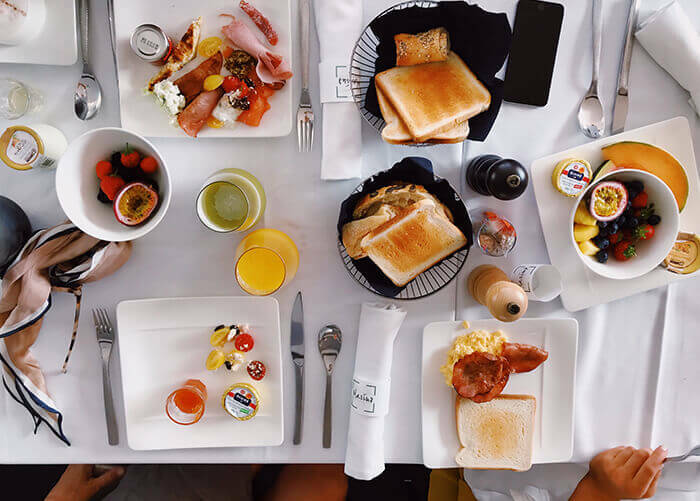 When serving a continental-style breakfast, you can include items such as cereal (perhaps two or three choices), fruit, yogurt, toast, home-made preserves and fresh fruit juice. If you know that your place is popular among tourists who are searching for an authentic cultural experience, a range of local foods can be another good option. Alternatively, serving a traditional fare can also make an excellent Airbnb Experience! At the end of the day, all the Airbnb meals that you serve should not require too much preparation. The most important is that whatever you serve to your guests should look professional, fresh and appetizing. The majority of countries do have their own regulations regarding handling and serving of food. So, make sure that you familiarize yourself with these health and safety rules. Also, when you are thinking about serving Airbnb meals to your guests, it is really important that you make the health and safety of your guests your number one priority. This means that you should practice good sanitation whenever you are handling, preparing or serving food to your guests. Even if you are going to serve Airbnb meals that have been prepared by someone else, good sanitary habits are key. Your local food regulations will be able to guide you with this. The reality is that many people battle with food allergies. So, be sure to ask your guests beforehand whether or not they have any food allergies. In addition to finding out about any allergies, also check if there are any food that they do not eat because of religious reasons or lifestyle choices. Another challenge of serving Airbnb meals is that at times guests will actually not take advantage of such a generous offer which means that it could become a waste of money. For example, if you mostly attract tourists, they will likely not care a lot about eating at your place. They have most probably come to visit attractions, including restaurants. Though, if your place attracts many businessmen, the chances are better that they will find your Airbnb cooking to be time-saving and convenient. Therefore, always ask your guests the previous day whether or not they are interested in the specific meal which you will be serving. In addition to communicating to them what will be on the menu, communicate to them at which time the meal will be served. 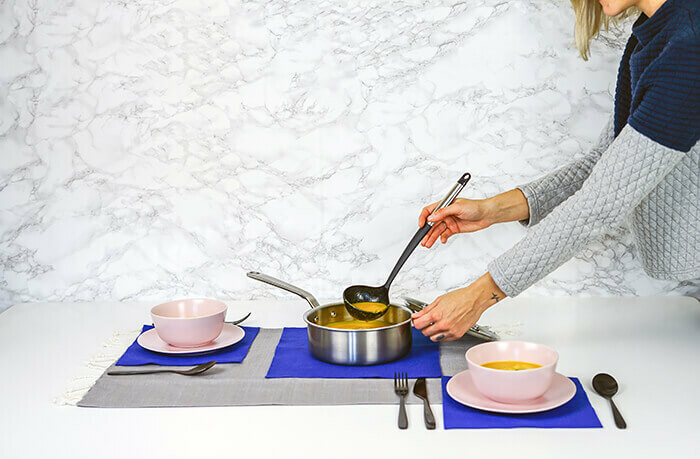 If you can afford to be accommodating, you can for example rather ask them at which time they will be leaving so that you can make sure that breakfast is ready before they need to be ready for the day’s activities. As the short-term rental industry has become rather saturated, identifying unique selling points about your Airbnb listing is key so that you can distinguish yourself from similar listings. 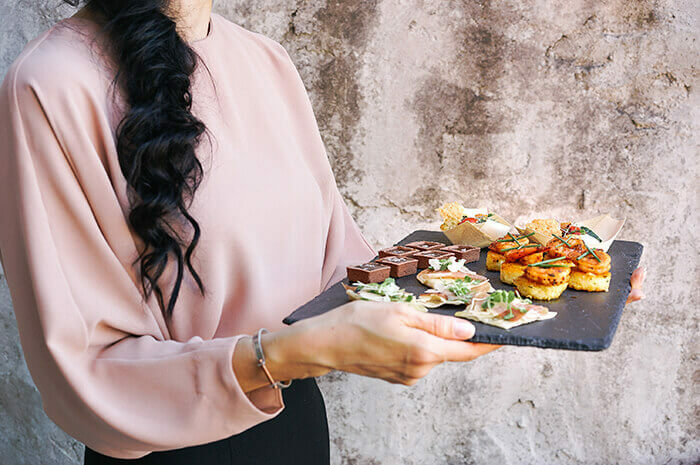 Now by serving Airbnb meals to your guests, you can provide a better service to your guests which will surely see you rake in those five-star reviews. That being said, the decision to serve Airbnb meals will be impacted by the kind of experience you want to offer your guests. Many hosts settle on providing an Airbnb dining experience that will match the accommodation and amenities that they offer. The info provided in this blog post is only to get you started. There are many other courses that can take (or serve for that matter). So, be sure to check your local rules before you embark on this exciting culinary chapter.